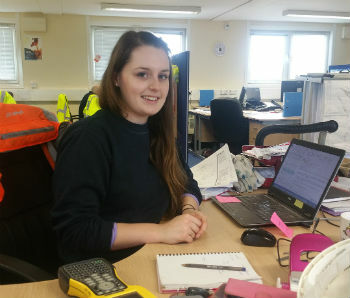 Tara McCully is a 23-year-old graduate civil engineer, working on the exciting new Morpeth Northern Bypass site with Carillion Plc, worth £30m! She loves what she does, and shares her journey from A-levels to engineering career in this blog. I’m lucky that I’ve always known what I wanted to do, but I know for a lot of young people going through GCSEs and A-levels, and even degrees, it’s difficult to know exactly where you want to go with your life. That’s not to say when I was five years old I wanted to be an engineer, I definitely wanted to be an illustrator – I was obsessed with the pictures in all of the Roald Dahl books for a good few years. But when it came to choosing my A-levels and figuring out what path I needed to take to get where I wanted to be, I just knew. For anyone who might be struggling to decide, I’d suggest looking into engineering. So many people don’t realise how big of a term that is, because within that there’s everything from mechanical, civil and electrical disciplines to chemical, software and systems branches. Civil engineering doesn’t seem like an obvious choice for a little girl who once wanted to be an illustrator, but for me, it’s a perfect fit. I’ve always loved building and creating things – I get a real buzz being able to point at something and say "I made that". Civil engineering is all about environments, those that have been naturally and physically constructed, and it’s about their design, build and maintenance – that could be anything from roads to rivers. And it’s not all outdoors, a lot of disciplines are mainly desk-based, so even within civil engineering there’s so many options that anyone can carve out an enjoyable career. Being able to work with such a big organisation like Carillion Plc on a project like Morpeth Northern Bypass – that is expected to bring a £47million economic boost over 60 years to the county and create up to 5,300 jobs in the local area – is really exciting. Being part of the team behind the project means you get to see what road users don’t, and you get a real sense of pride when the project is finished and you see the benefits start rolling in for local people. I’m a "setting out" engineer, so that means I go out on site with high-tech instruments and record data which I then analyse and share with the groundwork crew – my data means they know how deep to dig, what materials to use and lots of other factors that are absolutely crucial to a successful build. It’s a lot of responsibility but I really enjoy making such a difference to the project. Every day is different as the project progresses so there’s never a dull moment, sometimes things can change half an hour into the day and your plans get completed shuffled, but it keeps it exciting. Because I’m mostly involved with quality control, there’s no heavy lifting for me either – I don’t mind getting dirty but when it’s raining I would much rather be in the office so that’s a benefit of my role. 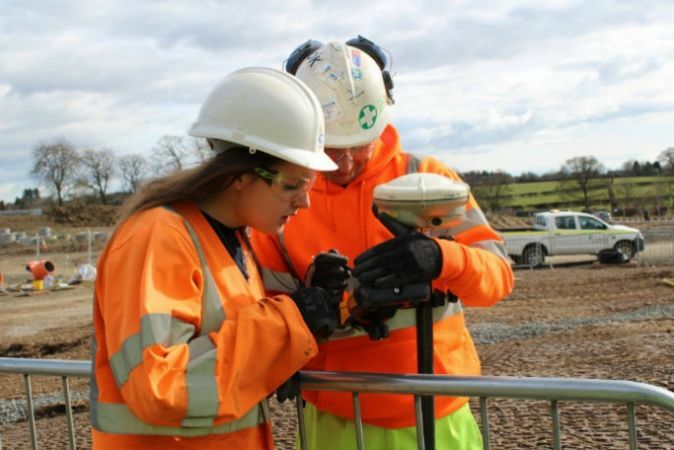 Civil engineering isn’t just about mud, high-vis jackets and hard hats, there’s so much research and management that goes on that you don’t have to have any days outside in the rain depending on where you specialise. My route to where I am now started with my A-levels: I studied product design, maths, further maths, physics and psychology. The majority of those, along with plenty of studying, revision and hard-work, got me a place to study a three-year bachelor’s degree in civil engineering at the University of Bolton (which was a fair few hours from my hometown in Cumbria). In my final year, Carillion Plc approached the university and asked if there were any students interested in putting their CVs forward for a job opening. I put my hat in the ring and was delighted to be asked to attend an interview. I must have impressed because I was offered the job. I knew this was going to be a new challenge but I was keen to get stuck in and I even started working before my graduation ceremony! There’s a lot of discussion about apprenticeships at the moment and if these are a better route into practical industries, like engineering. I think apprenticeships are a great option, but for me, the degree pathway was perfect because my job is mainly in the office and not out on site, so I learned mainly through classrooms to get a detailed knowledge of the task at hand. It’s up to each individual person which way of learning suits them best. Regardless of which path you take it’s important to make sure you enjoy it. When I first went to university I thought I wanted to be a structural engineer, but after my first year I realised this wasn’t for me, and started specialising in setting out instead. University gave me practical and lab experience to see how things work and I really enjoyed having the chance to work with construction management modules and hydraulics. A lot of people always ask me about being a girl in what is seen as a "man’s industry". My course was and my job is mainly men, but there’s more girls and women in the industry than you’d probably think. Nobody is really bothered whether you’re male or female – everyone is part of one team and everyone contributes to get the job done. My advice? Be confident and go with your instinct. Some men can look intimidating, but remember you’re all there to produce the same result. I’ve been involved in a lot of initiatives and programmes since starting with Carillion Plc that focus on getting more girls and more young people into engineering – and I really would recommend it. It’s such a rewarding industry where you can make a big difference, and the best thing is that you’ll never have a boring day. Thanks for sharing, Tara! We think Tara’s job sounds pretty amazing. If you agree, then you’ve got the engineering bug – so find out where you can go by following in Tara's footsteps. What’s all the fuss about STEM?